See how your life can and should be changed and shaped by the Spirit of God. You may have heard a lot about the Holy Spirit... or very little. Christians and churches seem divided over this issue. Some are always talking about gifts of the Spirit, baptism of the Spirit, Spirit-filled people and so on. In other circles, the Spirit seems to be rarely mentioned. This Good Book Guide has been put together from a survey of every single verse in the Bible that mentions the Holy Spirit and His activity. It will help you discover what God's Word means when it talks about being 'filled with' or 'led by' the Spirit. Or the differences between the Spirit's work in the Old and New Testaments. You may be in for some surprises! Some comments however do reveal a baptisic standpoint. Which is fine..if you're a Baptist! One of the stated aims of this study guide is to correct widely held misunderstandings about the work of the Holy Spirit. By simply equating the baptism in/with the Holy Spirit with the new birth (becoming a Christian), however, it falls into basic error of its own that flies in the face of the testimony of the scriptures (especially Acts) and of the experience of Spirit-filled Christians the world over. The New Testament contains strong warnings against quenching or grieving the Holy Spirit. Anyone using this guide should be extremely wary of its teachings and pray for revelation from the Holy Spirit Himself. Our homegroup have found this study to be quite challenging but we have all enjoyed it. We bought this book to study in our Women’s Bible study group. We are a mixed group of about 13 ladies in our 20’s – 80’s. There are 8 studies in total. These studies are an in depth look at the Holy Spirit and are excellent for teaching the biblical view, role and purpose of the Spirit. I would recommend them for anyone wanting to know more about the Holy Spirit from a Biblical point of view, and are suitable for new Christians and old timers alike. For our group it was useful to reaffirm knowledge and for others to correct false teaching. The one problem our group had was due to the in depth nature of the study we found they were a bit long for the time we had (45 mins). There are several tables to fill in, which are good for giving a cross-reference but took a lot of time to do. I would suggest you would need at least an hour to give this proper study. I have to rated the studies 5* because the content is excellent and we all commented that we’d learnt a lot from doing the study together. A great, in-depth set of challenging studies. May need adaptation for use in some small groups as studies could be somewhat lengthy for chatty groups. I really enjoyed studying this guide, found it very useful, and would recommend it. 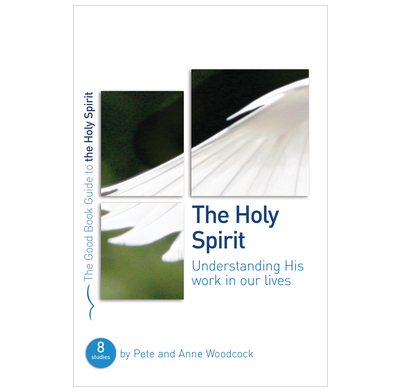 We used this resource in our Bible Study Group and found the in-depth study of the Holy Spirit most helpful in promoting discussion and extending our understanding. I bought these studies primarily because I thought my biblical knowledge and love for the Holy Spirit was not where it should have been. Not only has it revealed to me the influence of the Spirit in areas of the Bible that I hadn't previously noticed it, it has given me a completely new appreciation of the Spirit's work in passages that I have known for years. I have used these studies on my own, but they are designed to be used in groups as well. The questions are not patronising, but they are also not overly demanding. They definitely make you think, and are rewarding because of this. There are 8 studies, which would all probably take an hour or so to work through properly, but you can split them up if you don't have an hour on your hands. I might have had to weigh the quality of these studies against the price, but for £3 that really isn't necessary. Top stuff. I used this with a group of people who only 12 months earlier had completed a Christianity Explored Course that had been followed by a discipleship course. This study took us 6 months to cover! The group had all been long term church attenders and vary in age from 40 to 70, each member of the group has grown in their understanding of the Trinity through this study and I would recommend it to anyone. This study I felt is really good, it clearly explains the holy spirit, its purpose and how it affects us as Christians. It looks a vast range of passages from the Old and New Testiment. I would really recommend this study, the individual studies are slightly longer than other studies of this type I have done before but they are worth it.